Tensions have been building up between Argentina and the United Kingdom over a group of around 200 islands near the southern tip of South America called the Falkland Islands. The Falkland Islands are a territory of the United Kingdom, but Argentina claims ownership of these islands. This argument about the ownership of these islands has been going on for over 170 years now! In February, the United Kingdom started exploring for oil in the seabed around these islands, and this has caused more tensions between the two countries. The Falkland Islands were first spotted by the Europeans in the 1500s. At that time, there were no humans there. 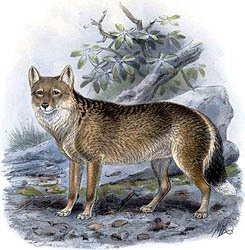 There was a mammal that ruled the islands – the warrah, a relative of the wolf that is now extinct. In the 1700s, the British, French, and Spanish built colonies on the island, but they all left. Argentina took over the islands in 1820, but were forced out when the British returned 13 years later. They have been arguing about it ever since, and even had a short war over it in 1982. There are around 3000 people who live on these islands and the majority of them are of British decent. Last year, Argentina claimed that a large part of the water body surrounding these islands belongs to them. To prove its case, Argentina handed over 800kg (1,760 lbs) of documents to the United Nations, an international peace organization. Now that the UK is digging around for oil, Argentina has said that all ships that travel on Argentine waters need to get permission from them.